Peter Parker: Five, four, three, two, one... Ready or not, here I come. Q: How many movies will be made with this new cast? Q: Why isn't Mary Jane on the cast list? Q: Who is the man in the post credits scene covered by the shadows? Being a Spider-man comic book fan I can say that a lot of the stuff that happens in this story is true to the comic book Spider-man. Spider-man has web shooters, Spider-man likes to joke a lot, Gwen Stacy was Spider-man's first love, etc. So Anyone who is a fan of the comics will respect this movie on that merit, the merit that it was faithful to the source material while bringing in new stuff without losing what made Spider-man who he is. People who've only seen the Spider-man films and never bothered to read any of the comics. Won't like this film as much. They'll say the same old stuff. "Why was this made? We've seen this already?" Blah blah blah. Let me go off saying that behind Spider-man 2, this is probably the best of the Spider-man trilogy for one reason.....it avoids all clichés that the original trilogy didn't. In fact the film pretty much avoids all clichés at all. I'll try and explain a few without spoiling the film. Well first of all the woman in this film aren't morons. One of the main problems I had with Sam Raimi's films was the fact that all woman were pretty much portrayed as objects that Spider-man can save. None of them do anything helpful. Sure Mary Jane tried to hit Doctor Octopus with a plank in the second film, but she couldn't even do that right. That's not the case here. Gwen actually has a confrontation with with villain and she doesn't screw around, I won't say what she does but when I saw it happen I couldn't help but cheer. Finally a Spider-man film where the woman have a brain-stem. The second cliché it avoids is being predictable. The original films basically have Spider-man going through the motions. Girl gets kidnapped, Spidey saves girl, Spidey defeats villain or jumps out of the way so the villain can do harm to himself. That is not the case with this film, a lot of the time you think one thing is going to happen but then it doesn't and the opposite happens. The third cliché it avoids is having silly moments. The first trilogy had a lot of them, yes even Spider-man 2 (The raindrops keep falling on my head scene). Going back an having re-watched the Sam Raimi trilogy before seeing this one, the films are more like popcorn films. Sam Raimi is the master at making B movies and that's what the original trilogy was, an epic scale B Movie. With this film, they get a little more serious. There's not really any goofy moments that I can think of and if there are then it's usually played for laughs. Also THANK GOD They got Flash Thompson right. Sam Raimi used Flash so he could be the stereotypical bully, and at the beginning you think that's what Marc Webb plans to do, but then he shows that Flash isn't as big a douche as he makes himself out to be. Flash is one of my favourite Spider-man characters in the comics, and I'd like to say "thank you Marc Webb for avoiding the cliché of him just being a bully and actually making him a human being with depth." The film also does other things right besides avoiding clichés. 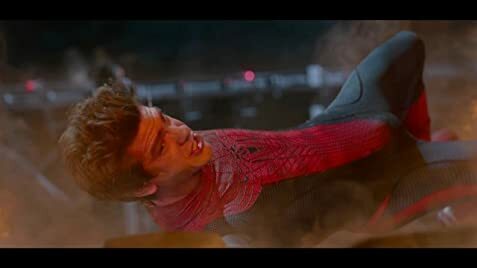 The actors all do fantastic jobs and I will go on record saying that Andrew Garfield is the perfect Spider-man and a great role model for young boys even though he has his flaws. Martin Sheen was great as an Uncle Ben who is kind, understanding, but at the same time doesn't take any crap. Emma Stone was great as the kind of jokey but intelligent Gwen Stacy who is a strong positive role model for young woman. The Guy who played the villain was great, The girl who played Aunt May was good in the few scenes she was in. Not a weak link in the bunch. So I've done nothing but praise this film so far, so why is it still behind Spider-man 2 in my books? Well the film does have flaw, mainly two. One it's rushed, the only one who really pays for it being rushed is the villain who only gets one line of dialogue to explain his motives and even then we're not sure why he's doing that. The second flaw is that it doesn't have this big epic feel that Spider-man 2 had, it doesn't feel like it was made to be a big summer blockbuster, instead it was made to be an Indy film with a big budget....although maybe that's why I liked it so much, it focuses more on characters than action.....hurm.....I'm still on the fence with that last one. The Amazing Spider-man is a good film. 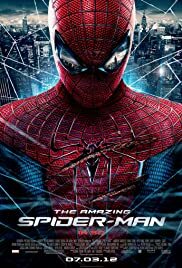 It avoids most if not all clichés, it's fresh, it's interesting, it's got characters you love to see and actually feel for played by fantastic actors, it's a great Spider-man film and it's sad that a lot of fans seem to be hating it right now. I honestly can't see what's to hate. Good film, go see it.....oh by the way.....I wouldn't recommend seeing it in 3D, there are a few moments where you're like "Whoa cool" but not much.